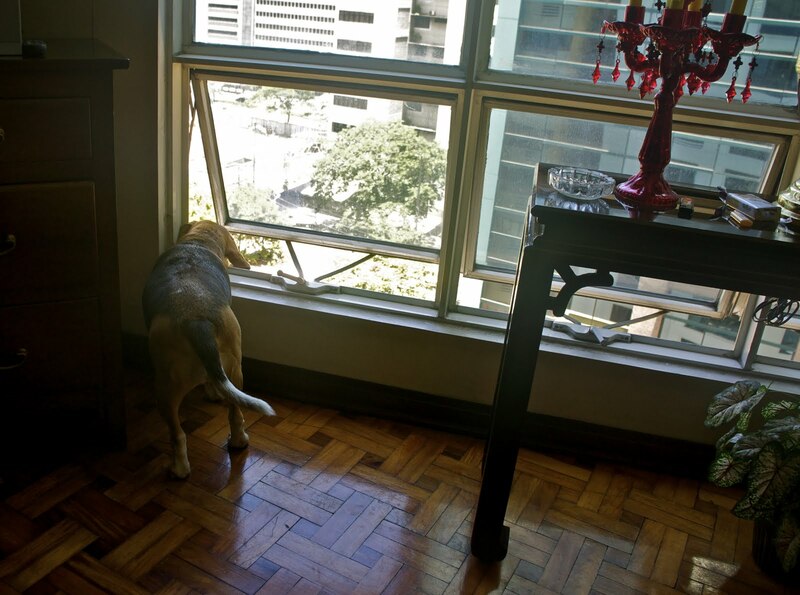 Daddy, Char Siew and I live in an apartment in the middle of the business district of the Philippines. It is a busy neighborhood. When I go to my walks on weekdays - we see men and women in office clothes. On Weekends - it's a lot quieter - it's actually as if it's a different place. Most of them adore us when they see us. But there are those who grew up afraid of dogs - and they stay away from us. 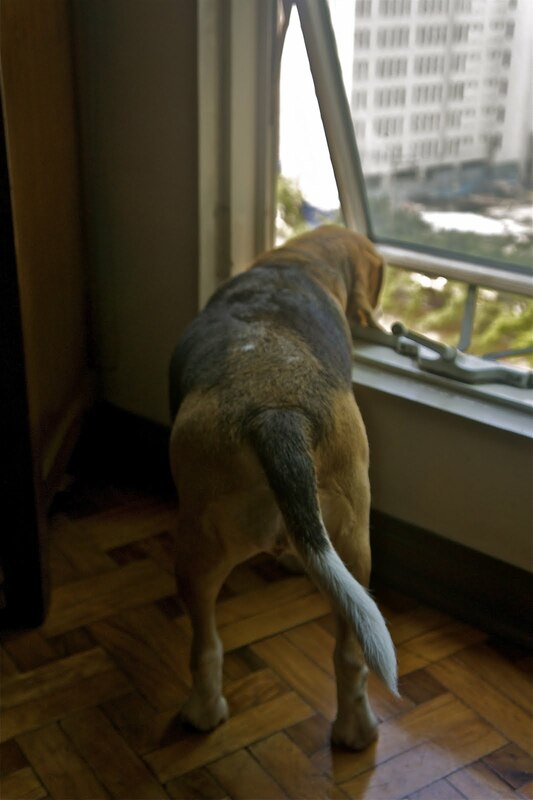 From our apartment - Char Siew and I can see the busy streets by looking out the window. I really like the fact that the windows' height is our height. So looking out is so easy for us to do. From our windows we can see the cars, buses, jeepneys from Ayala Ave. The buses can be noisy but we've already tuned that out. 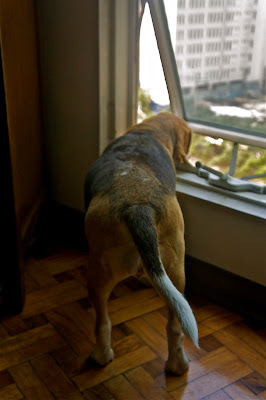 Blogger's Note: A guest post of Midori the Beagle.